At the first Cabinet meeting of the New Year in Downing Street, the Prime Minister told colleagues that events could “move quickly” at Westminster if MPs fail to back her Withdrawal Agreement with the EU in the Commons next Tuesday. She also indicated that she would make a statement soon after a defeat. 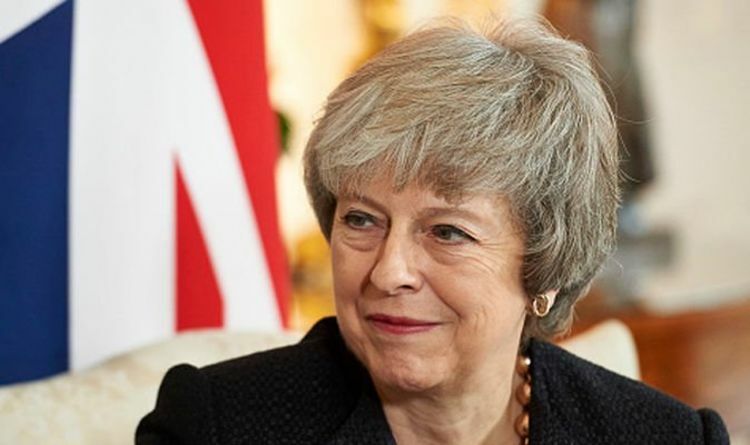 Her remarks came amid heated exchanges around the Cabinet table about the prospect of the UK quitting the EU without a Brexit deal. Work and Pensions Secretary Amber Rudd, a leading figure in the pro-Brussels faction within the Cabinet, told the meeting that history would take “a dim view” of the Government pressing ahead with a no-deal departure. Until today, Mrs May had refused to recognise the possibility of defeat either publicly or privately with Cabinet ministers even after the scheduled vote was postponed last month in the face of widespread opposition. But concern has been growing among senior Tories after MPs returned to Westminster after the Christmas break on Monday without any sign of a softening in the opposition to the Prime Minister’s Brexit deal. A Whitehall source said Mrs May acknowledged the possibility of defeat when the prospects for the vote were discussed at the Cabinet meeting. Mrs May was also said to be withering about demands for a second EU referendum, pointing out that opinion polls showed 68% of Tory supporters were against the idea. Much of the two-hour meeting was spent discussing preparations for a no-deal Brexit, insiders said. During the discussion, Ms Rudd told the meeting: “History will take a dim view of a Cabinet that presses ahead with No Deal. Citing her previous experience as home secretary, she claimed no-deal would make the country less safe because EU rules on returning asylum seekers to the country to first safe country they arrived in would no longer apply. Ms Rudd added: “More than ever we need to find the centre, reach across the House and find a majority for what will be agreed. Anything will need legislation. Cabinet sources said ministers were bitterly divided between ministers arguing that no Brexit was better than no deal and those insisting no deal was better than no Brexit. In a lighter moment during the meeting, Environment Secretary Michael Gove compared MPs resisting the Prime Minister’s Brexit deal in the hope of getting an improved package to “the oldest swingers in town”. He said they were "like 50 year-olds at the end of the disco, who have turned down all other offers and are waiting for Scarlett Johansson to come along". In response to his remark, Ms Rudd added: "Or Piers Brosnan." Justice Secretary David Gauke then mocked Labour’s ever-shifting position on Brexit to “waiting for Scarlett Johansson to arrive “on a unicorn”. The Work and Pensions Secretary, who backed Remain in the 2016 referendum, told fellow ministers: "History will take a dim view of a Cabinet that presses ahead with no deal. We have to face the world as we find it, not as we wish it to be, and we have to deal with the facts as we find them." In the Commons yesterday, Business Secretary Greg Clark publicly broke Cabinet ranks by claiming a no-deal Brexit "should not be contemplated". The Cabinet minister told MPs he has always been clear on the need to avoid leaving the EU without a deal given his role in representing the views of small and large businesses. Mr Clark's remarks came in response to a challenge from Labour's shadow business minister Chi Onwurah for him to rule out a no-deal Brexit. Mr Clark said he understood the requirements of business, telling the Commons: "It is essential that we should be able to continue to trade. "It's why I've always been clear, representing very strongly the views of small business and large business, that no-deal should not be contemplated." Mr Clark said no-deal could be avoided by MPs supporting Theresa May's Brexit deal next week.